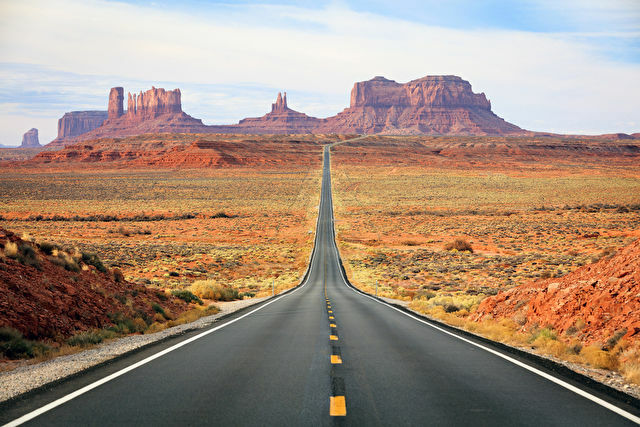 When it comes to bucket lists, there’s no doubt that Route 66 is on almost everyone’s! But what experiences await you as you pass through all of its amazing destinations? There’s plenty on offer at your first stop. Why not catch a free concert or outdoor movie screening at Millennium Park? The park was converted from an industrial wasteland into a world-renown public urban park and now is a new kind of gathering spot set right in the heart of the city. 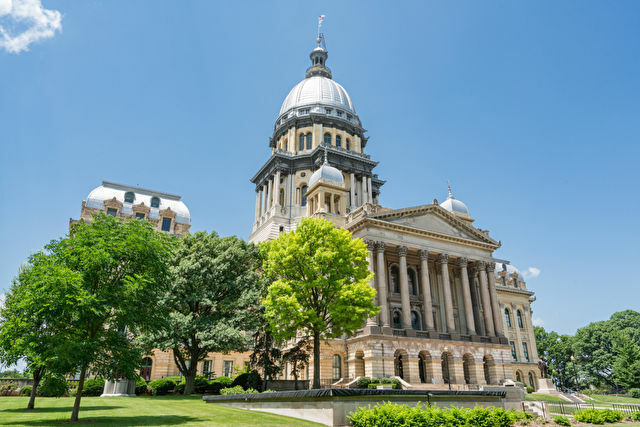 Plus, there are plenty of free events and exhibits to get your teeth stuck into. 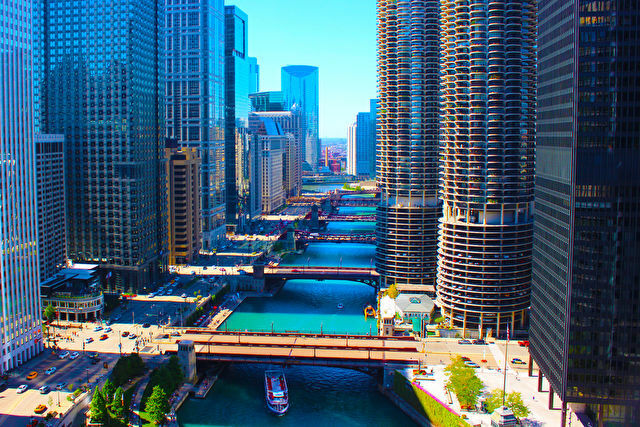 Alternatively, why not head up to the sky deck at Willis Tower and admire the views 1353ft above the streets? You’ll need to be feeling brave though! 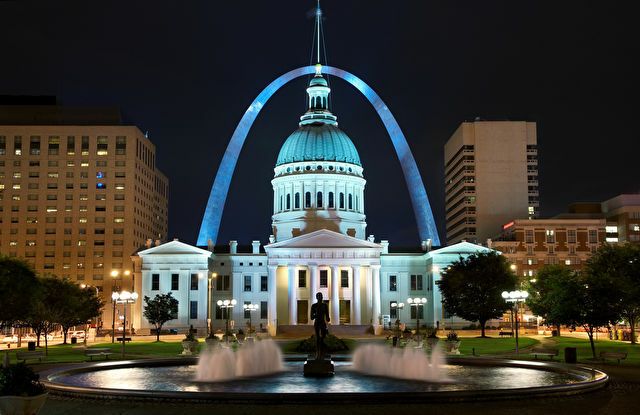 Next up… St Louis. The city museum is definitely worth a visit. It’s housed in a 600,000 square-foot building which used to be owned by the International Shoe Company and is made up of reclaimed materials. Old chimneys, salvaged bridges, construction cranes, miles of tiles and even two abandoned planes makes up the foundations for a fantastic museum. 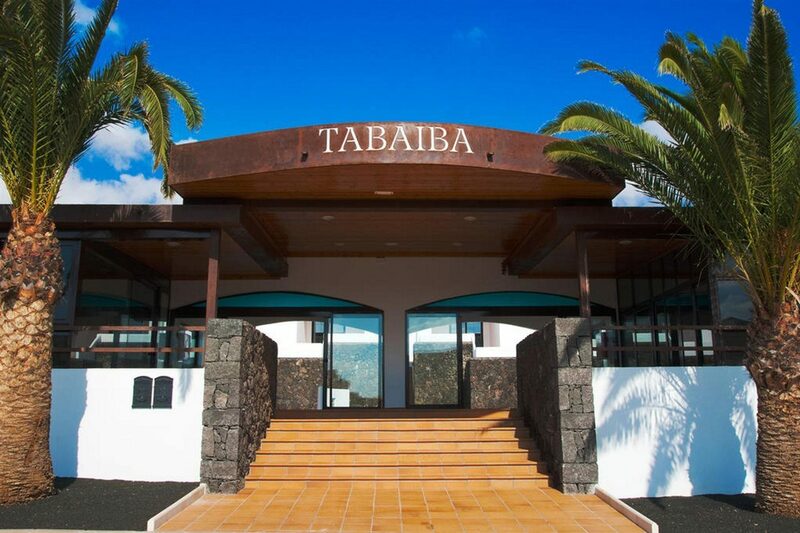 It’s a mixture of children’s playground and architectural genius, which makes it perfect for all ages. After a day of exploration, you’ll need to enjoy a snack and what better than a pot of frozen custard from Ted Drewes. This family owned custard company still follows its recipe that dates back to WWII. With 80+ years of selling frozen custard, it must be worth a try…right? Home of the Simpsons! Well not really, but it’s the same name! A visit to the Route 66 Car Museum seems apt and features a large collection of American and European cars, ranging from classics and sports cars to cars featured in popular television shows and films. Another great museum is the Wonders of Wildlife, explore over 1.5 miles of immersive galleries that will take you on a journey though the natural habitats of the animal kingdom. You’ll be able to get up close and personal with models of big game and other mammals before diving into the ocean world in the Aquarium Adventure. Oklahoma is full of weird and wonderful destinations. 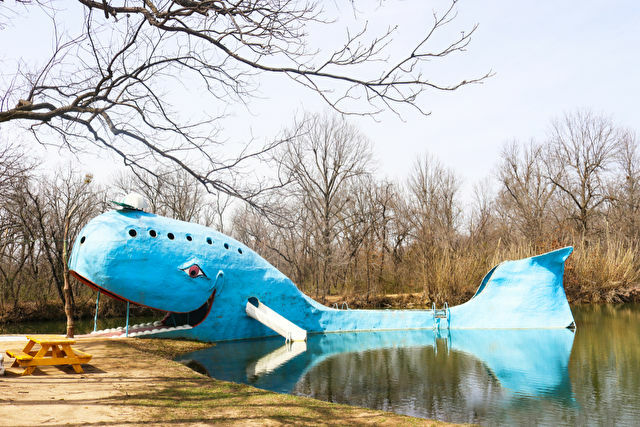 The Blue Whale of Catoosa is a waterfront structure that has become one of the most recognisable attractions on Route 66. Created by Hugh Davis, it was built in the early 1970s as a surprise anniversary gift for his wife (she collected whale figurines). It was opened by the public as many locals came to enjoy the waters. Another amazing place is the ‘Centre of the Universe’. Upon first sight, it’s just a small concrete circle in the middle of larger bricks, it is much more than that. Stand in the middle and make a noise and the sound is echoed back several times louder… weird huh? This is the way to Amarillo… and two amazing art installations await you! 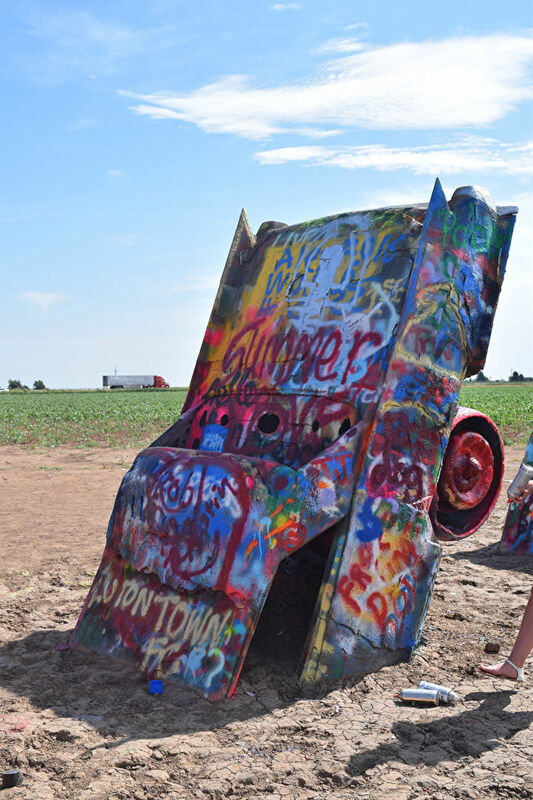 Cadillac Ranch is a sculpture created in 1974 and features ten half-buried Cadillac’s nose first into the ground. The cars were either used or junk cars and have changed colours many times over the years to signal different events but rarely last less than 24 hours without fresh graffiti. Combine City is much the same, as it is in homage to Cadillac Ranch but featuring combine harvesters instead. Unfortunately you can’t walk along and paint them, but they are right along the road and easy to see. Another reason to wander a bit off the Route 66! There are plenty of things that Albuquerque has to offer but for fans of TV show Breaking Bad, this really is a paradise. Jump aboard an RV and visit some of the most famous destinations such as the Car Wash, Walt’s house and Los Pollos Hermanos. Of course you can always do a DIY version of the tour in Albuquerque as most of the series was filmed here. If you’re not a fan, you can always visit the Petroglyph National Monument. It is 17 miles long and stretches throughout Albuquerque. It is one of the largest petroglyph sites in North America and features designs and symbols carved onto volcanic rocks by Native Americans. Well worth a visit. Holbrook is a small city in Navajo County, Arizona. One extremely beautiful place to visit is Rock Art Ranch. This privately owned cattle ranch features amazingly well-preserved examples of petroglyphs carved by American natives. Take a look at the images that are etched onto cliff faces, alcoves and overhangs in the amazing Chevelon Canyon. Just outside of Holbrook lies the Petrified National Forest and Painted Desert. 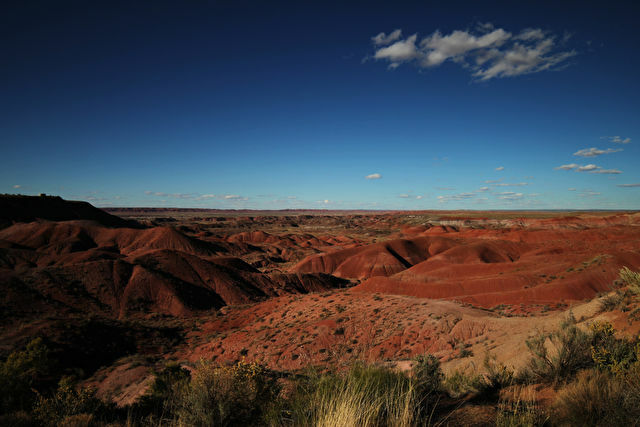 Trail around the park and explore fossils from when Arizona was a forest and visit The Painted Desert where the hills vary in shades of red, orange, tan and even blue… a must not miss! No trip to Arizona would be complete with a trip to the Grand Canyon. Depending on which part of the Canyon you’re visiting; you could enjoy rim hiking, white water rafting and mule rides. The views themselves are simply sensational and you can enjoy the Grand Canyon’s gorges, ridges and rock formations from a range of vantage points, so it could take you hours! Bearizona Drive Thru Wildlife Park is THE place to visit North American animals in their natural habitats. With approximately 160 acres to explore, you’ll drive through three miles of forest and enjoy a beautiful 20 acre walk through (which is more of a zoo-type setting). The animals you’ll see include bears, bobcats, otters and ferrets. 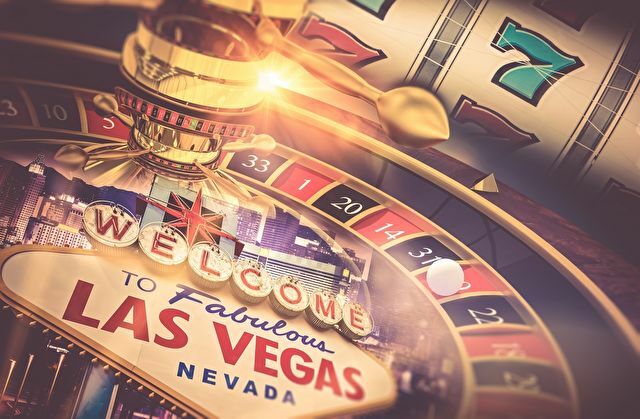 Home to vibrant nightlife, 24hr casinos and a countless number of entertainment options, Las Vegas is your penultimate stop. Take a helicopter night flight and see the strip lit up in all its glory. You’ll fly past the most iconic casinos and resorts before enjoying unparalleled views of Downtown Las Vegas’ historic Fremont Street. If you don’t quite fancy the helicopter ride, head to the world’s tallest observation wheel; the High Roller. Enjoy the views as this 30 minute revolution hits 550ft above the centre of the Las Vegas Strip.